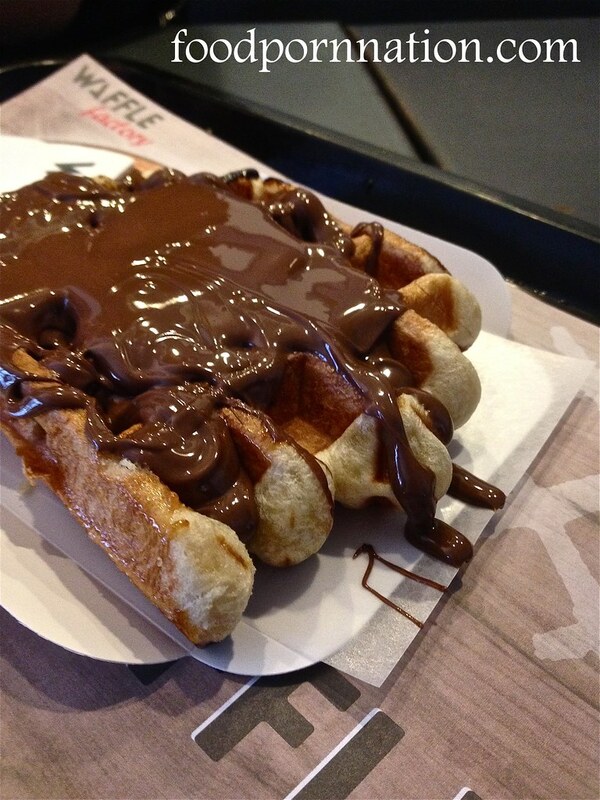 The Liege waffle – (my favourite waffle when slathered in Nutella) is typified by its thick, chewy, dense texture. The batter is so thick it is like looks like a mound of dough. The end result is rounder in shape. I think this has a lot to do with the machine not being able to push the ‘actual’ dough to the edges of the waffle maker. The most distinctive feature are the drops of sugar balls (pearl sugar) that give it a caramelised crunchy edge when you bite into it. It is the heat of the waffle iron plates that give that caramel-ly sugar crust, which contrasts deliciously with the thick chewy batter. Also, the caramel edges also help it stick to the flimsy little paper plate because as it cools down it hardens and clings to the paper plate. 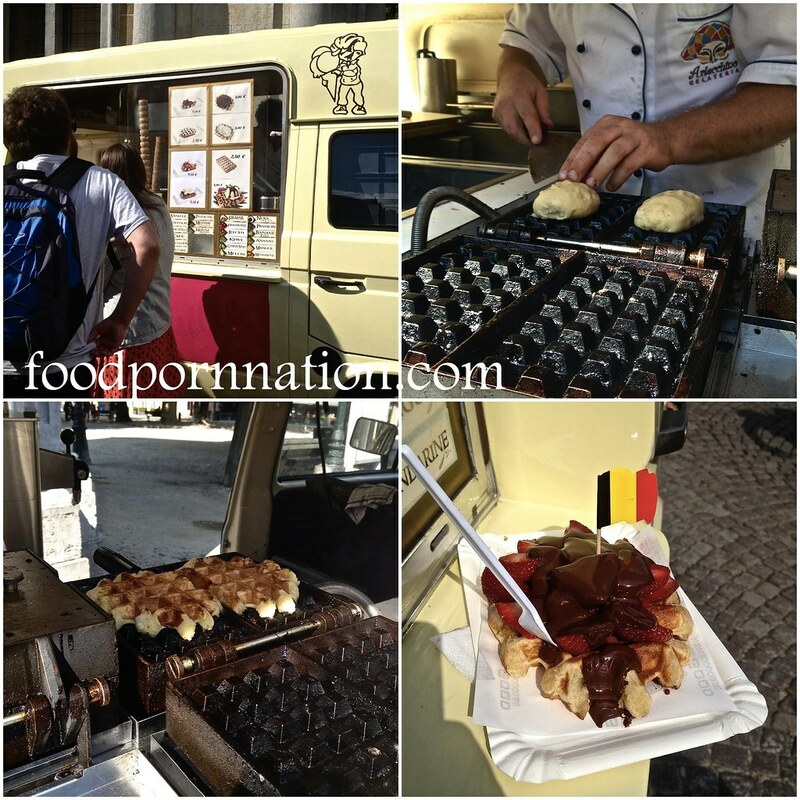 Belgian/Brussels waffle – The Belgian waffle does not exist in anywhere in Belgium. It is only called this, from what I am told is because the Americans didn’t know where Brussels was. Funny! 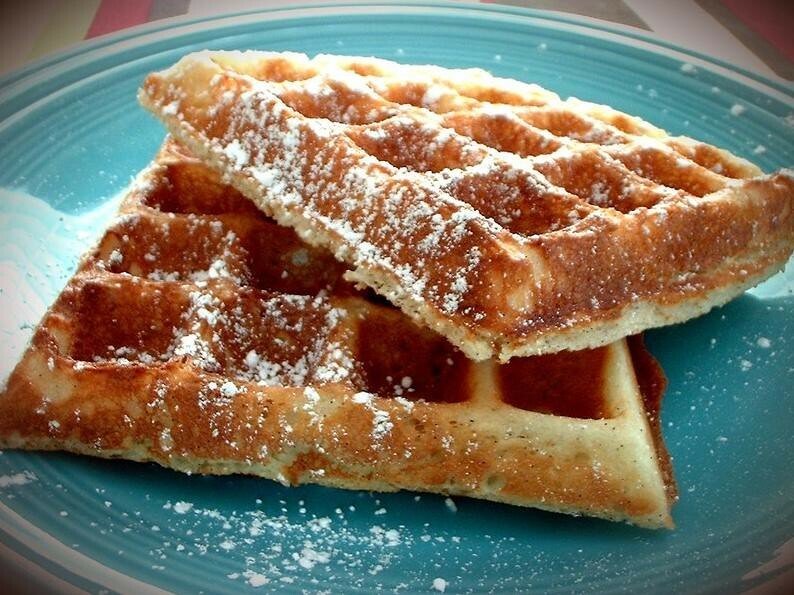 Traditionally it is actually called the Brussels waffle. The texture is lighter and crispier than the Liege waffle that when you bite into it there is noticeably crispy exterior against a fluffy light interior. This all comes down to the light batter mixture. The shape is perfectly rectangular and not as sweet as the Liege waffle. Its appearance is a lot smoother finish with deeper pockets. There you have it, Belgian waffles decoded. Which waffle do you prefer? Aha I didn’t even realise there were different kinds of waffles!